I love fantasy elements in a fantasy game. These mountains feature a unique geological designed that features interesting edges and visual style. 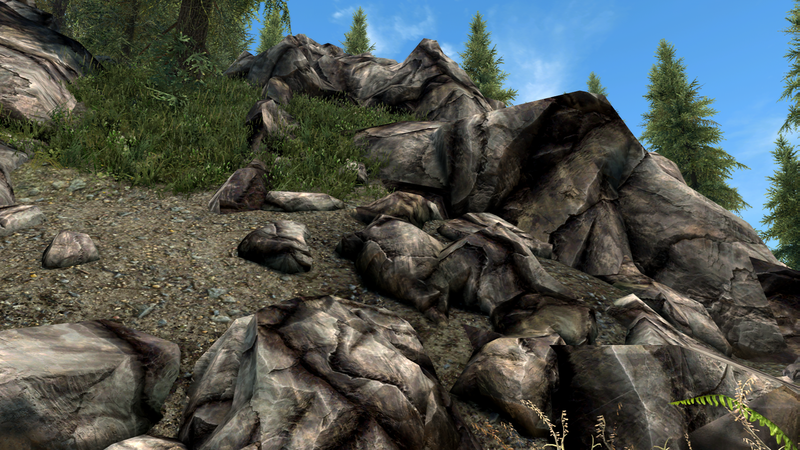 I’ve always had a fond spot for CC’s textures because they’re always so terribly unique and whimsical and it showcases Tamriel with its own unique geological formation. I was very excited for him to grant me the permissions to use his mountains for this mod. I hope you enjoy a dash of whismy and fantasy as much as I have. Also included are rock and mountain mesh adjustments. I also did my own version of snow. 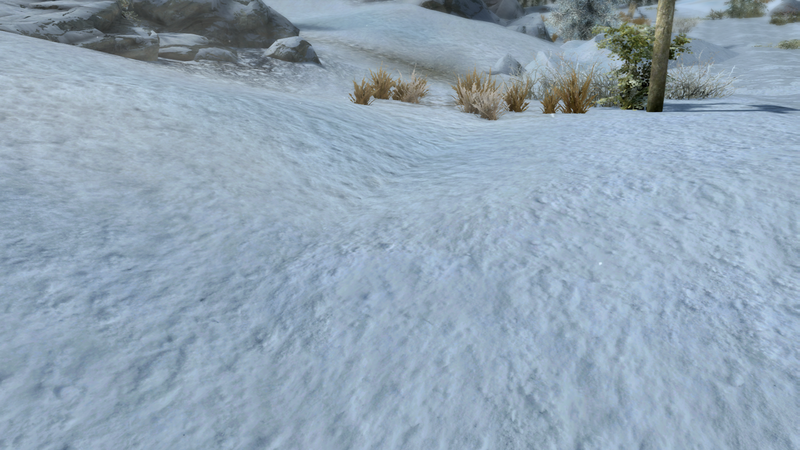 I personally don’t mind vanilla snow, but I thought I’d enhance it just a wee bit by attempting to make it fluffier with a deeper normal map and adding some sparkle to it. Snow – includes paths and walks and grasses that are also touched by snow.